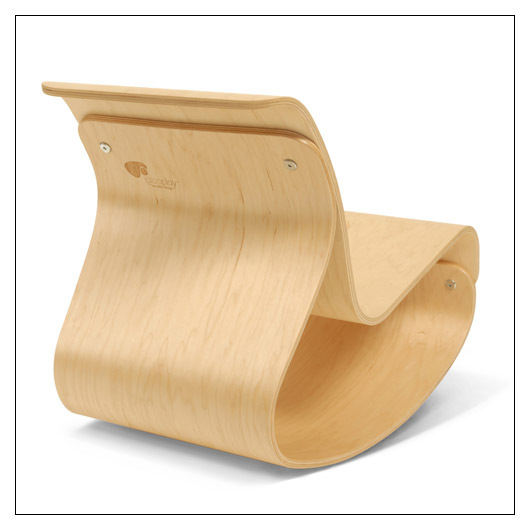 Mod Rocker by Iglooplay (MODROCKER) at Pure Design Kids / Seating / Chairs ::: Kids' Toys, Furniture and More at Pure Design Kids! U.S. Design Patented. Awarded Honorable Mention, 2006 I.D. Magazine Annual Design Review. This rocking chair will appeal to a child's interest in movement as well as scale, organic form, material variation and color. Inspired by African stools that cup the body, the Mod Rocker's form is wide and low to the ground. Its sculptural shape is an aesthetic addition to any room in the home. The weight capacity exceeds 450 lbs. We also offer Mod Pads with a non-skid rubber underside for comfort and a shot of color. Please allow 7 - 10 extra days to ship. Sorry, this product is not available until May 2019. Please call 800-483-5643 if you would like to pre-order this item.